PayUmoney blog is a place where all businesses can find everything they need to level up their business to the most optimal level. Be it payments or marketing we guide with curated trends, tips, tricks and suggestions to grow. We love when other experts find value in our content and volunteer to share their experience and knowledge with us. Shrijay is one such expert who excels profoundly in legal issues and entrepreneurship arena. 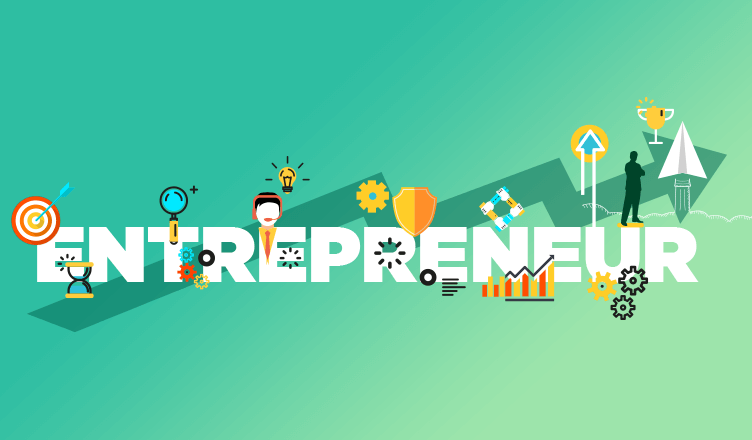 He writes this blog as a guest to guide newbie entrepreneurs to venture out with full energy and 100% preps. Let’s hear it from the master himself! From Shrijay’s trunk of expertise…. Entrepreneurship is a journey by itself and just like any other journey, it has its own do’s and don’ts. I too, started this journey to provide business professional services a few years back. It’s only then did I realize that it would have been an added advantage for me to know the rule book beforehand! But to make the startup journey easier for all aspiring business minds reading this, here are the 5 things you must look forward to polish right from the beginning. Juggling job with a start-up on a part-time basis is a bad idea. The amount of attention, hard work and persistence your entrepreneurial venture requires is 10X vis a vis is a regular job. Eventually, I too had to call it a day at my full-time job and concentrate on my venture. Take the hard and harsh decisions to follow the dream completely without any compromises. Unique Value Proposition (UVP): Your prospective customers will have hundreds of other options. You need to work hard and smart towards making your offerings stand out from competitors despite offering the same service or product. Market/product fit: Keep your eye on the quality of your product/services and the size of your target market. These two points will easily help you gauge your way ahead. Single success metric: When you start a business, how would you define success? You need to shortlist a couple of essential metrics such as conversions, GMV and so on to choose the most valued metric for you in that time. Keep a vigilant eye on your data. To achieve an armor of a successful industry leader, you need to focus on cultivating data maturity from the beginning. If you are going to be an entrepreneur, you can’t fear failure. You have to develop a tolerance level of measured risk. – Bernhard Niesner. Personally, the following steps worked wonders me, you can try them too! Then, I used that data to gauge whether I can take my business decisions based on the data. And then I took a closer look at how others, especially my competitors utilize it. Sites like Etsy and Craig’s List, and even local trade shows for that matter is something wherein you can test-market early product prototypes or services and learn from mistakes. Failure is inevitable, it all boils down to how much can you learn and how fast can you pick yourself up. Quite often, because of the way start-ups are perceived today, entrepreneurs feel shy or reserved to approach others for advice. There are loads of resources available online: blogs, videos, where you can find inspiration. But learning and consulting your own teammates, counterparts and seniors make a lot of difference. Also, the importance of venturing with co-founder enables the simplification of the gap filling process. The right sense of ownership and accompaniment gives a beautiful twist to a traditional equation of 1+1 = 11! I would tip here with: Just go out there as a learner and implement all those lessons to be a successful entrepreneur. Given that many new-age startups are tech-based, protecting IP is not a luxury, it is a necessity! In fact, many successful startups enjoy massive evaluations just because of the intellectual properties and proprietary algorithms that they could create. Protect with Patents: If your product or process is true to the test of the invention and creates a better value and efficiency, consider protecting it with Patent. Copyright for Works: If you have created original content, be it musical composition, photograph, write-up, or a sculpture; you must copyright such work. Startup Valuation Based on IP Rights: Startups don’t necessarily have massive goods’ stocks or workforce to start with. Hence, most of the value of a startup is usually derived from its IP rights. Impose Control on What You Have: Sure, it is nice to have someone else promote your services or goods for free. But what are you going to do when the quality is not up to your mark? In many cases, the answer is a simple “nothing” if you haven’t taken care of the IP rights. By keeping all IPRs and legal formalities in place, you will get the ability to restrict unauthorized use of your owned IP or license for others’ commercial benefit. It also helps you relax and focus on necessary. Being an entrepreneur is not a destination, but a journey of constant improvement, evolution, and perseverance. It is a roller-coaster ride with quick highs and lows. It has been a long journey for me as well. But, above all, it is important to take practical decisions out of the emotional experiences. Remember, when you hold that commanding position, by default trusteeship of everyone who signed up for the journey is an assumption. You have to make decisions that are good for the company at large. Taking care of the employees and people who take care of your business is the ultimate key to grow. There are no shortcuts to valuing people. A compassionate entrepreneur sails the farthest! It is about understanding your customers as well. Instead of running behind clients and focusing on increasing your clientele, cater to a few clients in the best manner and others will follow suit as a snowball effect gradually! With all your marketing efforts for your business in place, it’s a good idea to have an all-in-one payment solution in place as well. Now to enjoy the best payment gateway experience and grow your business effortlessly! Shrijay is an entrepreneur with more than ten years of experience in working with hyper-growing digital commerce companies across the globe. He is a data-savvy leader and a true believer of people first philosophy. Currently, he leads LegalWiz.in, a LegalTech venture in India – helping startups in company registration, trademark and other IP protection, and legal compliance. Pinterest For Business: Interesting Tips For Businesses To Market Well!